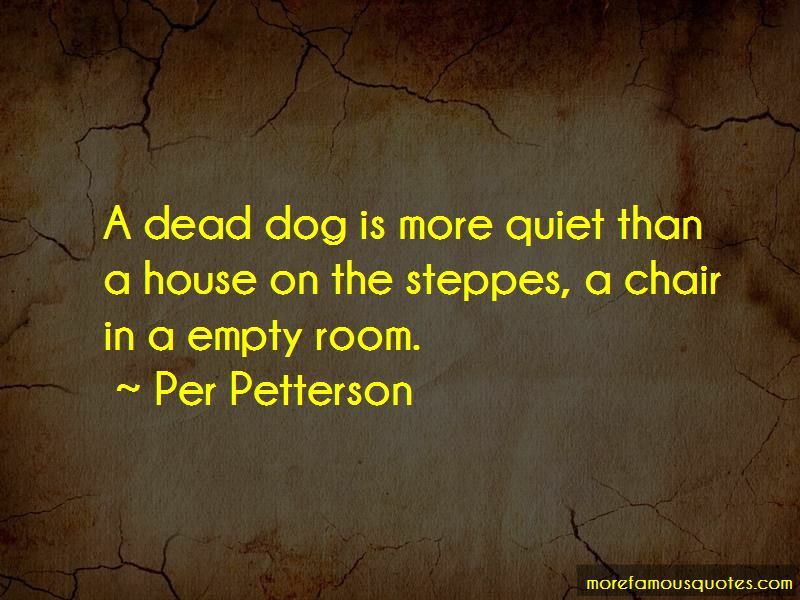 Enjoy the top 77 famous quotes, sayings and quotations by Per Petterson. 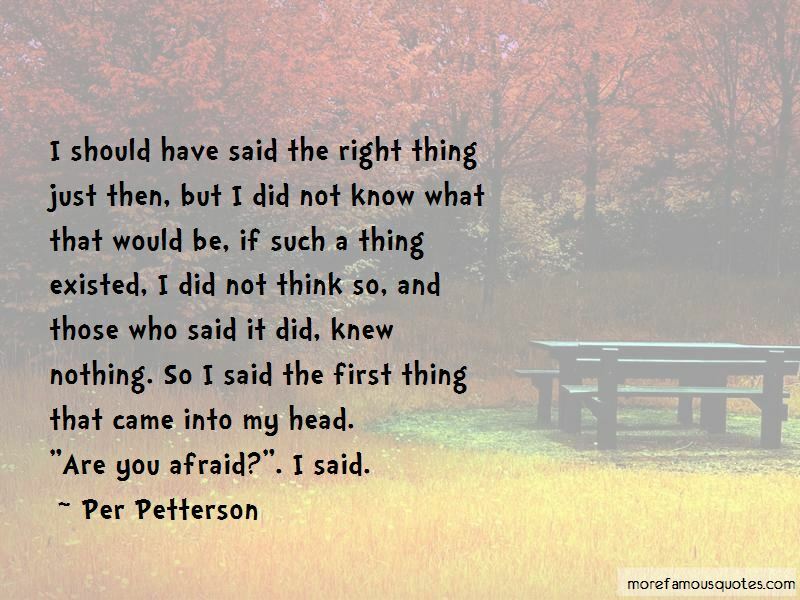 “I should have said the right thing just then, but I did not know what that would be, if such a thing existed, I did not think so, and those who said it did, knew nothing. So I said the first thing that came into my head. You decide for yourself when it will hurt. I remember a lot of dreams. Sometimes they are hard to distinguish from what has really happened. That is not so terrible. It is the same with books. One of my many horrors is to become the man with the frayed jacket and unfastened flies standing at the Co-op counter with egg on his shirt and more too because the mirror in the hall has given up the ghost. A shipwrecked man without an anchor in the world except in his own liquid thoughts where time has lost its sequence. What I liked was the train ride. It took an hour and that was enough for me to be able to lean backwards against the seat with closed eyes, feel the joints in the rails come up and thump through my body and sometimes peer out of the windows and see windswept heathland and imagine I was on the Trans-Siberian Railway. I had read about it, seen pictures in a book and decided that no matter when and how life would turn out, one day I would travel from Moscow to Vladivostok on that train, and I practised saying the names: Omsk, Tomsk, Novosibirsk, Irkutsk, they were difficult to pronounce with all their hard consonants, but ever since the trip to Skagen, every journey I made by train was a potential departure on my own great journey. But life had shifted its weight from one point to another, from one leg to the other, like a silent giant in the vast shadows against the ridge, and I did not feel like the person I had been when this day began, and I did not even know if that was something to be sorry for. A lot can change because you are embarrassed by something. I do not think of literature as something confessional or therapeutic. I make sentences in order to be precise about experiences and things. I am urged by many things and no things in particular. I don't know if nature is a direct literary influence on my writing, but it is certainly important to me. I take great joy in writing about it. It is something I have taken with me from my childhood; the body exposed to the threat of the physical world and at the same time being at home in it. I wonder whether that is how we get to be after living alone for a long time, that in the middle of a train of thought we start talking out loud, that the difference between talking and not talking is slowly wiped out, that the unending, inner conversation we carry on with ourselves merges with the one we have with the few people we still see. I did not bring a television set out here with me, and I regret it sometimes when the evenings get long, but my idea was that living alone you can soon get stuck to those flickering images and to the chair you will sit on far into the night, and then time merely passes as you let others do the moving. I did as he said, I spun around so I almost fell down, I opened my eyes and peered in all directions. “I distinctly heard the blackbird from the top of a spruce tree, and clear as glass I heard the lark high up and several other birds whose song I did not know, and it was so weird, it was like a film without sound with another sound added, I was in two places at once, and nothing hurt. You're probably right,' I said, but to be honest, I had forgotten to be a Communist that night. 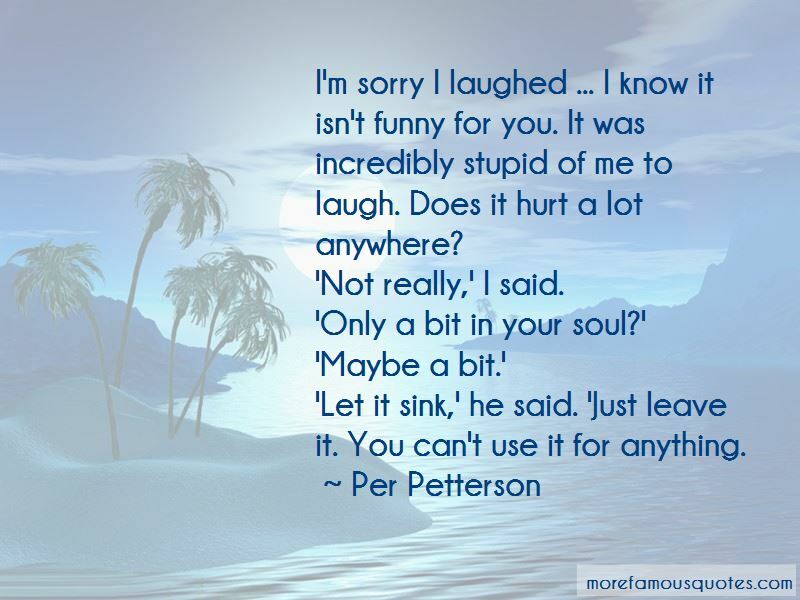 Want to see more pictures of Per Petterson quotes? 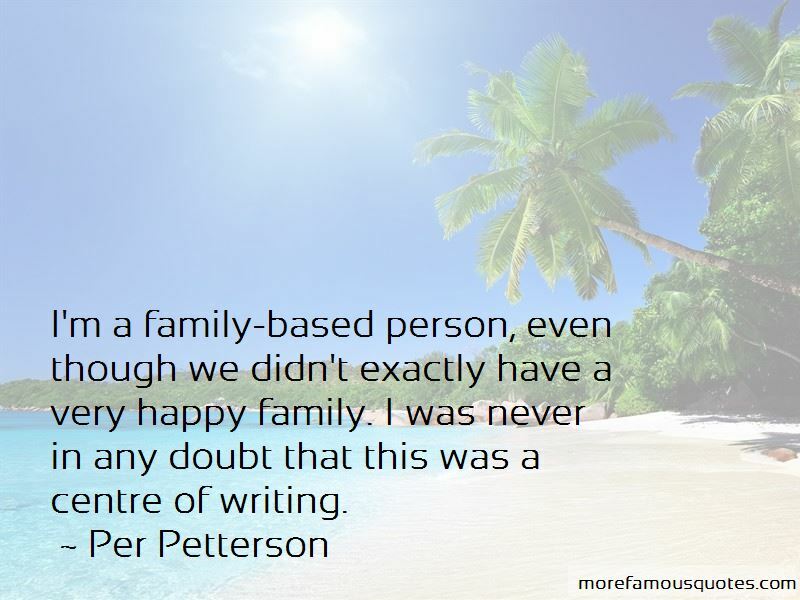 Click on image of Per Petterson quotes to view full size.